Humans are not the only ones that need pampering. Our pets need as much manja time as us! 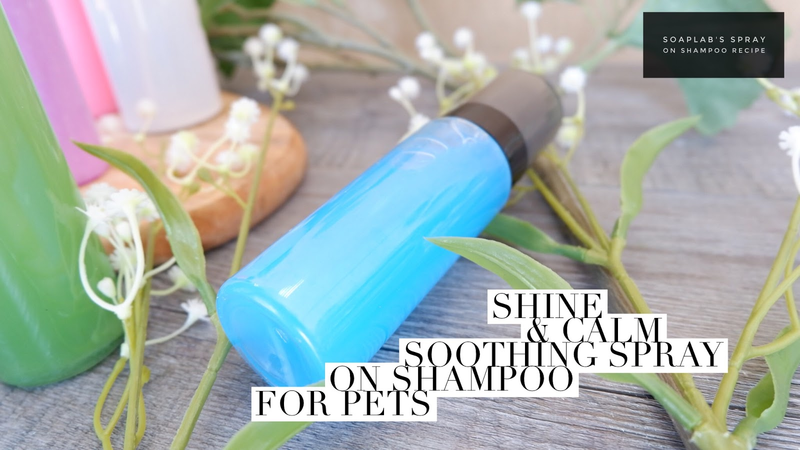 This spray on shampoo will give you a chance to give your pet their very own relaxing spa day. To make the shampoo add geranium, lavender and eucalyptus essential oil with aloe vera extract to a shampoo base. Geranium and lavender essential oil repel fleas. Geranium also helps heal yeast infections. Lavender essential oil, soothes and calms your pet, while eucalyptus is a great tool against pet odor. Eucalyptus essential oil gives your pet a pleasant smell too!. The aloe vera extract is used to moisturise the skin and keep the fur soft and smooth. Finally add blue liquid color pigment. This will make the bond between you and your fur child stronger.